In Los Angeles, a city that makes an overstatement of just about everything, there is an epic hotel that stands for quite the opposite: good taste, good manners, superb management and total discretion. We’re talking about The Beverly Hills Hotel. 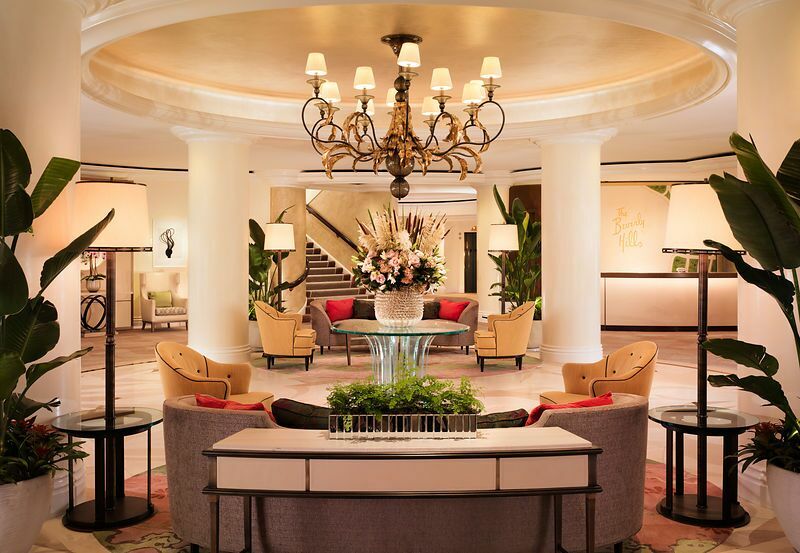 Affectionately known as the “Pink Palace,” The Beverly Hills Hotel is famous for legendary service and legendary guests. Over the past one hundred years, Hollywood stars have enjoyed the timeless glamour of this dramatically beautiful setting, attracted by the relaxed resort-feel and seamless service. Today, you can join them and other cognoscenti who head to The Beverly Hills for the perfect harmony it offers. 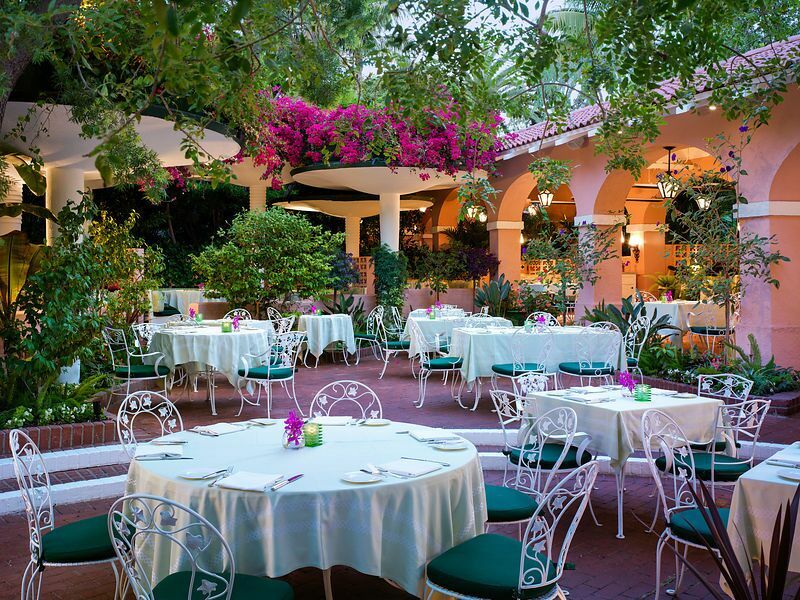 Located on Sunset Boulevard in the center of Beverly Hills, this 5-star hotel is surrounded by 12 acres of lush, tropical gardens and exotic flowers. Remaining faithful to the original architecture and interior design, the hotel has been carefully restored over the years to preserve its supreme level of comfort and flair as well as its historic stature. Stay in style in a luxurious room, spacious suite or opt for a secluded private bungalow. Refresh and relax by the palm-tree lined pool, complete with newly refurbished private cabanas, enjoy refreshing complimentary poolside mini ice-cream sundaes and mojito pop treats, or dine at the acclaimed Cabana Café. 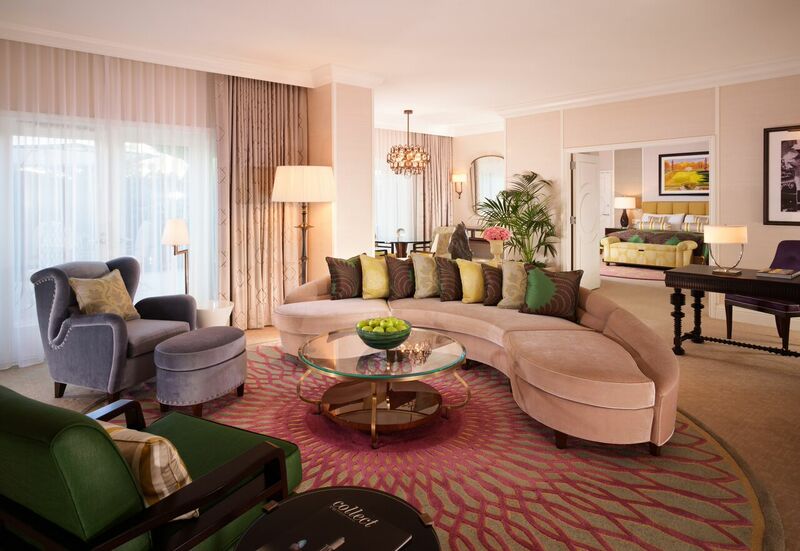 For the ultimate in bliss, experience a revitalizing spa treatment at The Beverly Hills Hotel Spa by La Prairie. The famous Polo Lounge restaurant is the place to be in Beverly Hills for fine dining, while Bar Nineteen12 is a must for signature cocktails and spectacular views of the colorful California sunsets. For absolute privacy, drop-dead service, pulse-quickening people watching, attentive service, and sleeping on a cloud appeals, to you, this is definitely the place. Edward A. Mady, Regional Director West Coast USA and General Manager is the gentleman hotelier who with the skill of an artist effortlessly makes all this magic happen and also oversees the delightful symphony at the glorious Bel-Air Hotel. The Beverly Hills Hotel, 9641 Sunset Boulevard, Beverly Hills, California, (310) 276 2251, http://www.dorchestercollection.com/en/los-angeles/the-beverly-hills-hotel.